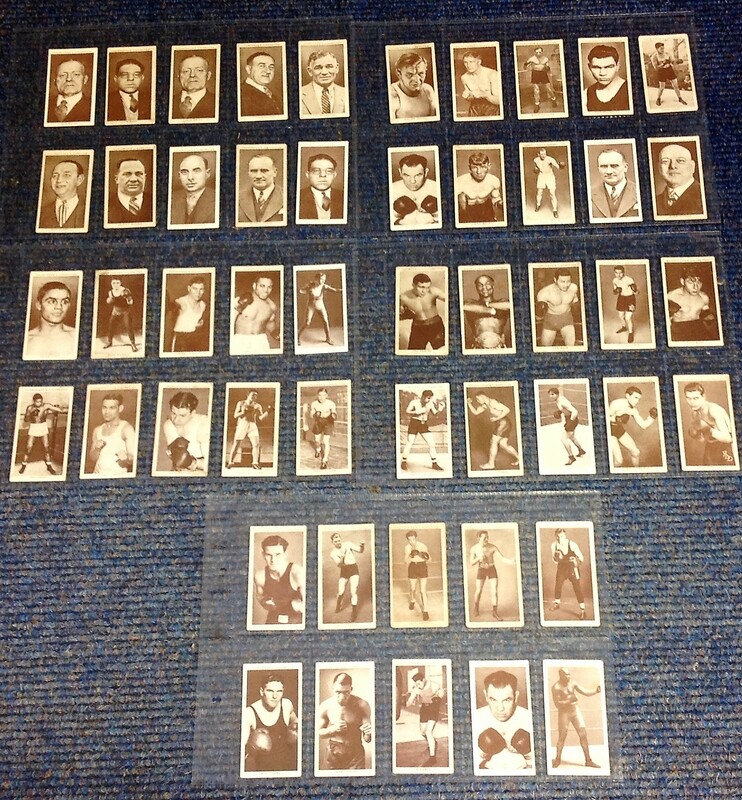 Churchman Boxing Personalities Cigarette cards, complete set of 50 vintage cards issued in 1938 with images on the front and biographies on back. Names include Lou Amers, Primo Carnera, Georges Carpentier, Dave Crowley, Max Baer, Tommy Farr, Jack Doyle, Len Harvey, Jack Johnson, Ted Lewis, Benny Lynch, Joe Louis, Johnny King, Billy Wells, Sydney Halls, Gene Tunney, Jack Petersen, Jack Hart, Jack Smith, Jack Hart. Good Condition. All signed pieces come with a Certificate of Authenticity. We combine postage on multiple winning lots and can ship worldwide. UK postage from £3.99, EU from £5.99, Rest of World from £7.99.